Cabo San Lucas, situated at the very bottom of Mexico’s Baja California peninsula, has become far more than just a beach destination (though the beaches are great, too). It’s now one of the adventure sports capitals of Mexico – and you can pursue the adventures on land, water, and even in the air. Here are our top five adventurous activities in Cabo that you can try on your cruise to Mexico – some of them quite unusual. Just wanted to follow up and say what a pleasure it was to work with you [Darlene] and Cesar and CruiseExperts.com. I am thankful for the patient and prompt responses to several questions I had leading up to the trip. And the trip was awesome! I would also recommend Holland America. We did a cruisetour. The land tour schedule was intense at times, but worth it. I feel like we saw three weeks' worth in one week. And there were never any lines and very little waiting with Holland America having made all arrangements ahead of time. I can't imagine a better trip!Thank you! 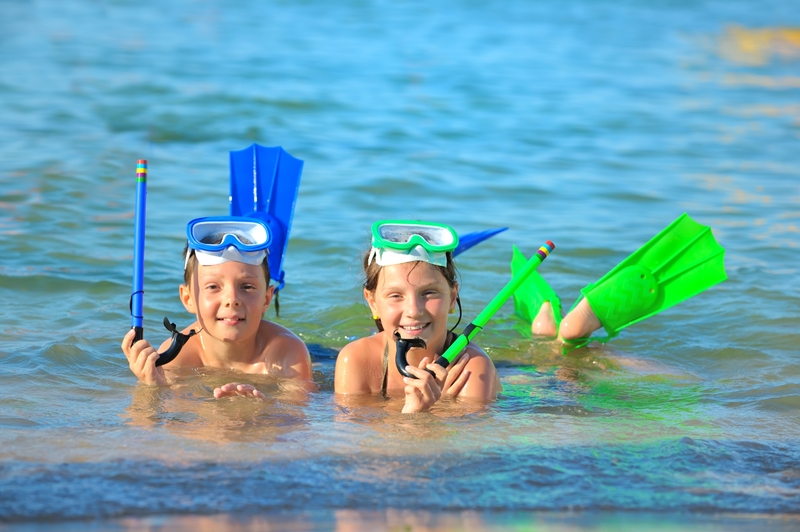 — Brigette and Bruce W.
Get Wet: The Snorkel and Sea Adventure from Cabo Adventures gets you out of town for an array of adventures in snorkeling, kayaking, and stand-up paddleboarding, with a high-speed boat ride and wildlife sightings to boot. On the boat ride, you might spot dolphins or whales in winter, and you’ll get a close-up view of the photogenic Land’s End arch, which separates the Pacific Ocean from the Sea of Cortez and where sea lions bask in the sun. 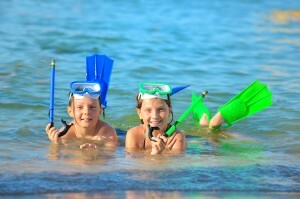 Then you’ll get to snorkel in a secluded cove, amid colorful coral reefs, tropical fish, rays and sea turtles. “Power-snorkeling” – propelled by water scooters – is an adventurous option. Then try stand-up paddleboarding – which, just as it sounds, involves standing on a board while paddling through the crystal-clear waters – and taking a guided kayaking tour to view the cove’s distinctive rock formations. Cabo Adventures also offers scuba diving for both beginning and certified divers. Ride a Camel: The Camel Quest from Wild Canyon takes you in a totally different direction – to the bottom of a desert canyon where you get to ride camels for 40 minutes and learn about them as well. Why are there camels in Cabo? While they look straight out of the Sahara, they came from Texas and the U.S. Southwest, where their ancestors were members of the Camel Corps, serving as U.S. Army pack animals during the Civil War. They were brought here because the deserts around Cabo suit them well. 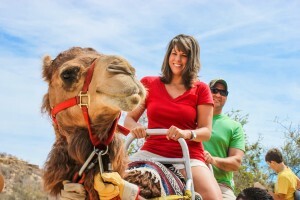 Wild Canyon’s Camel Encounter tour — which cuts the camel ride down to 20 minutes and allows time for petting and picture-taking — is a good choice for families looking for an offbeat adventure. Wild Canyon acts as a one-stop-shop for the adventure offering bungee jumping, an animal sanctuary, and so much more! Go Flyboarding: Your first views of flyboarding off Cabo’s Medano Beach may surprise you even more than seeing camels in Cabo. Cabo Flyboard will take you for a ride on a newish invention that’s a bit like waterskiing on steroids. Flyboarding allows you to soar into the air or even plunge below the water while being pulled by a jet boat. Wearing special wakeboard boots, which provide propulsion, you can control your movements in the air – twists, turns, even flips — while the jet boat driver controls your power and height. It’s like being connected to a flying snowboard – except you’re in warm Cabo waters. 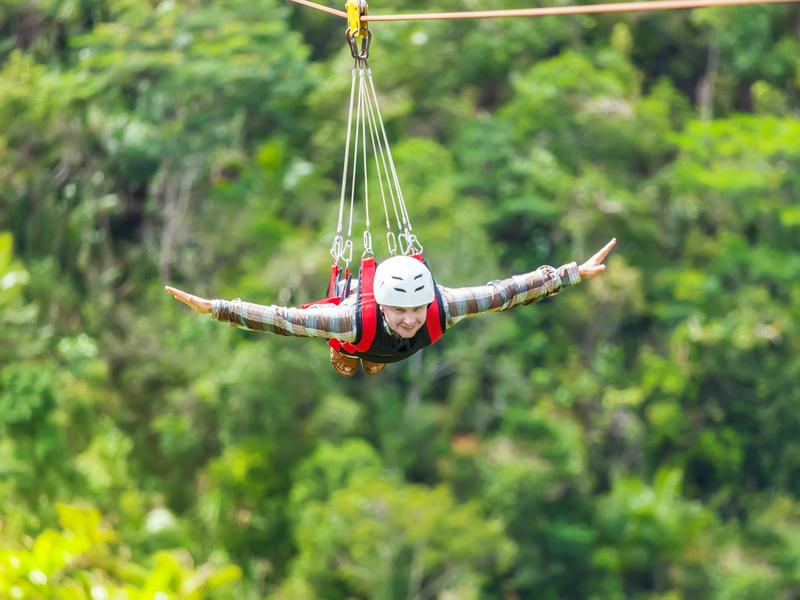 Go Zip Lining: The Outdoor Zip Line Adventure tour from Cabo Adventures promises adventures on “Mexico’s longest, highest, and fastest” zip line. You’ll fly for nearly 4,000 feet over a desert canopy – complete with oasis below – at speeds of up to 60 miles an hour. You’ll also find other zip lines of varying lengths and heights, as well as a rock climbing wall (made of real rock) and chances for cliff- side rappelling. Go Offroad: With Baja Buggys’ All Terrain Xrail Adventure, you can board an open-air all-terrain vehicle to explore the desert mountains and canyons near Cabo, view a three-century-old native village and other historic sites, learn about desert plant and animal life, and charge up your adrenaline while propelling to a river delta where the desert meets the Pacific ocean. “All-terrain” describes this tour very well! You can also go surfing in Cabo, swim with dolphins or whale sharks, go mountain biking, go whale-watching (for California grays and humpbacks) in winter…So to book your cruise to Mexico and find adventure in Cabo and beyond, call our travel advisors today at (888) 804-CRUIse (2784), visit us at www.CruiseExperts.com or email us at info@CruiseExperts.com to find out the best cruise deals for Mexico. Don’t forget to like us on Facebook or join our Inner Circle for great savings tip and the latest, hottest cruise deals! Kimberly Wheeler joined the team at CruiseExperts.com in September 2014. Her role as a Social Media Marketer is to pass on the expertise of the agency to help travelers understand the world of cruising through blogging. Kimberly has an extensive background in Public Relations and Marketing and a passion for engaging the public. She received her Bachelor’s Degree in Mass Communication and Journalism with an option in Public Relations from Fresno State University in May 2014.